Already have your own Shopify website? Resaleworld has now partnered with one of the largest and most popular eCommerce platforms in the world, Shopify.com. Shopify has built an attractive foundation for businesses and offers a fully hosted online website builder. With a wide array of plug-ins and extensions to maximize efficiency, marketing and the exposure of your products through social media channels. Shopify allows you to build a complete, easy-to-design website so you can focus on managing your business, not your site. 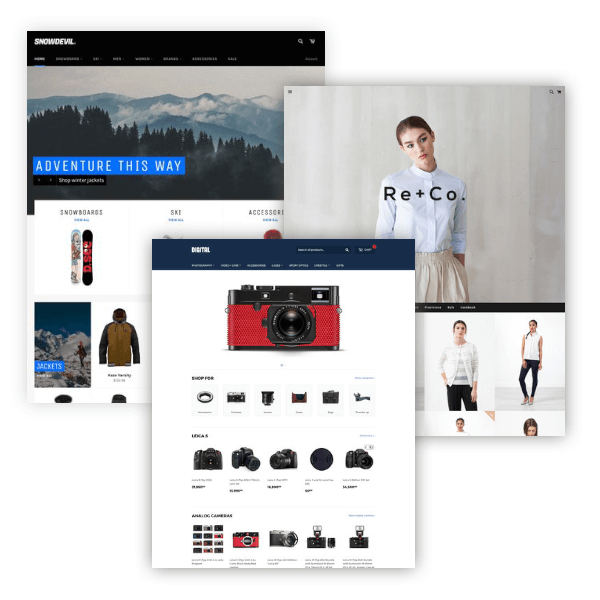 With your Liberty software, you can directly connect to your Shopify web store and upload Liberty items, attach photos and manage online orders with just a few simple clicks. Your Liberty software will automatically update the available quantity for any item when sold online or in the store! Changes made within Liberty will automatically update the corresponding item on your Shopify website. Shopify items are quickly updated with a quantity of 0 if the Liberty item sells in-store. Grant your consignors online access to their current balance and transaction history via our popular Consignor Login service. Easily manage your eBay store from within your Liberty software by taking advantage of our latest eBay integration.